Dataquest, a CyberMedia publication, convened a roundtable of CEOs/founders of e-commerce companies and influencers from CII and Nasscom, on May 28 at New Delhi. The objective was to seek recommendations for policy on e-commerce industry in India with focus on the issue of FDI in retail e-commerce. Other factors that spur the development of the overall e-commerce ecosystem were also taken up for discussion. For the sake of brevity, the paper focuses solely on inputs that have a policy implication and is structured along the nature and content of the intended policy. The research on impact of e-commerce, retail and e-commerce industry statistics, industry landscape and other background subjects is included in the annexure. 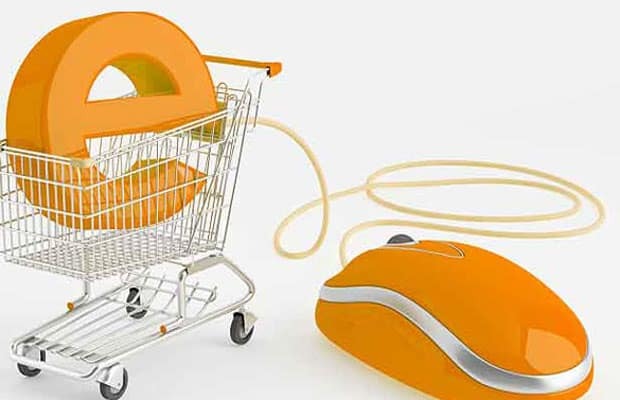 Should FDI be allowed in B2C E-commerce? Reasons: Absolutely vital for the growth of the industry. Lack of adequate funding and diverse options of funding has been a severe inhibitor for the industry. Cost of not permitting FDI and loss of opportunity is very high, a regressive move. Should it be open for all products or for only non-food products? Yes. In fact, the agricultural sector has the huge potential of getting transformed through e-commerce. Should a limit for minimum capitalization be laid down? Since e-commerce is not capital intensive, no limit for minimum capitalization should be laid down. 30% of domestic sourcing from SMEs (as stipulated for retail) is acceptable. But the definition of SMEs over progressive years is a subject of debatable definition. Need better clarity here. How will retail sale under MBRT be restricted to States that have agreed to open front-end stores? fillip to SME and manufacturing or any negative impacts affect equally whether Indian-owned or foreign-funded. Dividing up the country along permissible zones for online and physical is a bad idea that will stymie growth. What should the entry routes and caps be in FDI in B2C E-Commerce companies? Should it be automatic up to 50%? The policy provision here has to be clear, open, unrestrictive, and easy to implement. Automatic route is the suggested option. What are the likely benefits to Indian economy? manufacturing. Strengthens supply chain. Fosters professional practices in customer service, pricing, quality. Opportunities for IT sector. Facilitates forex inflow. What should B2C E-Commerce encompass: Goods, Services, Intellectual Property? Should be open to all sectors. Provide duty drawback in courier mode for e-commerce based exports. According to Report of Digital–Commerce, IAMAI-IMRB (2013), in 2013, the market is expected to reach US$12.6 billion, showing year to year growth of 34%. B2B is e-commerce between businesses such as between a manufacturer and a wholesaler or between a wholesaler and a retailer. Global B2B transactions comprise 90% of all e-commerce. Although B2C e-commerce receives a lot of attention, B2B transactions far exceed B2C transactions. of the inventory in this model vests with the number of enterprises which advertise their products on the website and are ultimate sellers of goods or services. Works as a facilitator of e-commerce. Inventory Based model. In this model, ownership of goods and services and market place vests with the same entity. This model does not work as a facilitator of e-commerce, but is engaged in e-commerce directly. Middle class in many of the developing countries, including India, is rapidly embracing online shopping. However, India falls behind not only US, China and Australia in terms of Internet density, but also countries like Sri Lanka and Pakistan. with an internet penetration of 15 percent has an existing market size of consumer e-commerce of USD 4 billion. Incidentally FDI in inventory-based consumer ecommerce is allowed in both these countries. (IAMAI-KPMG report, September 2013). Industry surveys suggest that e-commerce industry is expected to contribute around 4 percent to the GDP by 2020. In comparison, according to a NASSCOM report, by 2020, the IT-BPO industry is expected to account for 10% of India’s GDP, while the share of telecommunication services in India’s GDP is expected to increase to 15 percent by 2015. With enabling support, the e-commerce industry too can contribute much more to the GDP. The growing e-commerce industry can have a positive spillover effect on associated industries such as logistics, online advertising, media and IT/ITES. Currently e-commerce accounts for 15-20 percent of the total revenues for some of the big logistics companies. The revenue for logistics industry from inventory based consumer e-commerce alone may grow by 70 times to USD 2.6 Billion (INR 14,300 crores) by 2020. Currently, the inventory based consumer e-commerce model alone provides direct employment to approximately 40,000 people and is estimated to create 1 million direct and another 0.5 million indirect jobs by 2020.
stage and is nowhere in the league of big global players. Major domestic e-commerce companies are Flipkart, Snapdeal, Fashionandyou, Myntra, inkfruit, Dealsandyou, Homeshop18 etc. Over 70% of all consumer e-commerce transactions in India are travel related, comprising mainly of online booking of airline tickets, railway tickets and hotel bookings. The biggest players in the travel category are Makemytrip.com, Yatra.com and the IRCTC website for railway bookings. Non-travel related online commerce comprises 25-30 percent of the B2C e-Commerce market. The unfettered growth of online travel category has been possible because the regulatory and infrastructure issues do not impede its growth. Also, it does not face the infrastructure challenges since the goods need not be transferred physically. The fledgling industry is faced with significant hurdles with respect to infrastructure, governance and regulation. 1) Low internet penetration of 11 percent impedes the growth of e-commerce by limiting the internet access to a broader segment of the population. 2) Poor last mile connectivity due to missing links in supply chain infrastructure is limiting the access to far flung areas where a significant portion of the population resides. 3) High dropout rates of 25-30 percent on payment gateways, consumer trust deficit and slow adoption of online payments are compelling e-commerce companies to rely on costlier payment methods such as Cash on Delivery (COD). 4) As per extant FDI policy, FDI, up to 100%, under the automatic route is permitted in B2B e-commerce activities but does not permit FDI in B2C e-commerce. 1) Regulatory restriction poses a challenge to raise funds from foreign PE/VC. 2) E-commerce can be aligned to the objectives of national development by providing impetus to manufacturing sector, order consolidation and distribution, facilitating and supporting SMEs, improving outreach and access to buyers/ sellers, bringing traceability and transparency in transactions, empowering consumers with information and data and finally creating new job opportunities. 3) MSMEs / traders are currently benefitting from e- commerce in India and there is huge scope of further involvement and growth of MSMEs / traders with further boost to e-commerce. Even small traders have enhanced their coverage by using e-commerce platforms like JustDial, Quikr etc. 4) An international council has stated that India could reap enormous and nearly immediate benefits by creating an exemption from its retail FDI rules to permit the unrestricted marketing of retail goods through e-commerce. 5) Open and deregulated e-commerce sector would create new markets for small businesses/entrepreneur and help them scale at almost no cost and generate employment through investment/innovation in supply chain management, warehousing, logistic services and other ancillary sector. 6) Reduced costs: On marketing and distribution, travel, materials and supplies will benefit businesses. 7) Improved customer service: providing more responsive order taking and after sales service to customers and competitive pricing. A national body of traders has strongly opposed allowing any FDI in e-commerce. 1) They have stated that Indian market is not yet ready for opening up e-retail space to foreign investors. 2) FDI in the sector will have disastrous impact on this domestic industry leading to monopolies in e-commerce, manufacturing, logistics, retail sector etc. and causing large scale unemployment. 3) Because of scale of economic operations, e-commerce players will have more bargaining powers than standalone traders. 4) Allowing FDI in e-commerce will provide e-commerce players with complete geographical reach, which will be against the spirit of FDI in multi brand retail trade i.e. being restricted to cities with a population of more than one million in consenting states or any other city of their choice. 5) Indian e-commerce industry which is at a nascent stage of development will be seriously threatened. 6) Works against the spirit of FDI policy in MBRT. Allowing FDI in e-commerce will provide e-commerce players complete geographical reach which will be against the spirit of FDI in multi brand retail trade i.e. being restricted to cities with a population of more than one million or any other city as per the choice of consenting states. 7) Indian market is not yet ready for opening up e-retail space to foreign investors. It will seriously impair small time trading of brick and mortar stores. Small time shopkeepers are not highly qualified and will not be able to compete with sound e-retail business format. 8) Because of scale of economic operations, e-commerce players in the inventory based model will have more bargaining power than standalone traders and will resort to predatory pricing. 9) The infrastructure created by major e-commerce players will be captive and government will not be able to achieve its objective of creating back end infrastructure. 10) Indian e-commerce market is at a nascent stage of development. With FDI in e-commerce, global players will have adverse impact on this domestic industry. It will lead to monopolies in e-commerce, manufacturing, logistics and retail sector. 11) Inventory based e-commerce competes directly with MSMEs. Indian e-commerce B2C is growing in an eco- system with Indian owned/led companies offering open marketplace models which provide a technology platform to help MSME reach across India and even globally. These marketplaces do not compete with MSME or retailers and allow everyone to trade. On the other hand, allowing the entry of inventory based large foreign e-tailers may shrink Indian entrepreneurship and the MSME sector. 12) MNCs may dump their cheaper products in the market causing a negative impact on the Indian manufacturing sector in general and to MSMEs in particular. 13) Small time businesses/ kirana stores remain the largest source of employment in the country. Opening of B2C e-commerce on inventory based model is likely to seriously impact these shopkeepers leading to large scale unemployment. Dataquest Roundtable on FDI Policy in B2C E-Commerce 0 out of 5 based on 0 ratings. 0 user reviews.